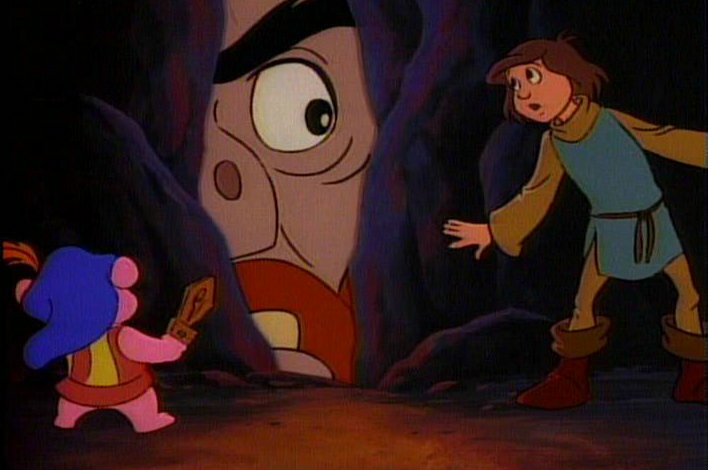 Cubbi and Cavin hiding from a giant. . Wallpaper and background images in the Disney's Adventures of the Gummi Bears club tagged: photo.